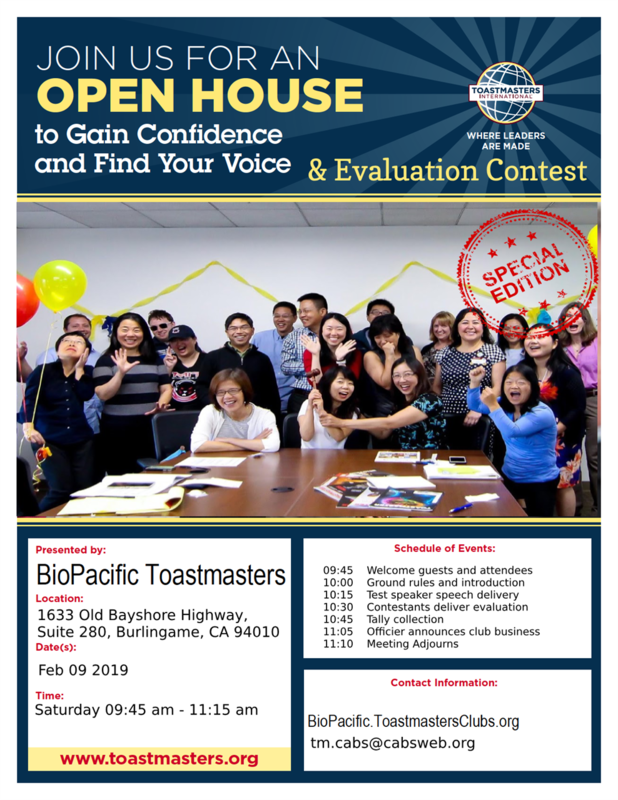 Please join us at the BioPacific Toastmasters club contest of 2019! It will be a guaranteed event of excitement and joy as you will see club members applying their best efforts in the contest. We will be providing FREE breakfast, snacks, and drinks!